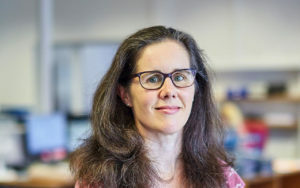 Emma is a Chartered UK Patent Attorney and European Patent Attorney, specialising in mechanical and materials technologies, with a particular interest in scientific instrumentation, medical devices and coatings. She holds an MA honours degree in natural sciences from Cambridge University. Emma started her career as a patent examiner at the UK Patent Office (now the UK IP Office) before working in industry with a global company specialising in the development of scientific instruments and precision measurement equipment, where she became Group IP Manager. Emma joined Greaves Brewster in 2008. Emma has worked with a range of clients from start-up to multinational companies. Her experience as a patent examiner gives her a particularly useful insight in working effectively with the UK IPO and EPO.